A love of goats can seem quite amusing. Louisa Conrad and Lucas Ferrell have this down pat. “Goats are just incredibly lovely and funny,” says Louisa. This year’s kid season has arrived at Big Picture Farm, and we watch as the little rascals bound over rock piles, shadow their mamas, and fight to keep their eyes open as they nuzzle together in the nooks of the barn. Lady goats lovingly nudge our legs as we stand talking with Louisa. Five minutes in and we’re in love with these little ones too. Louisa and Lucas blatantly share a fondness for the farm life. The couple met at Middlebury College, where they gained an appreciation for Vermont, as well as its sprawling farmland and abundantly fresh produce. They married and returned to the Green Mountain State after pursuing master’s degrees in California and Montana, respectively. Louisa, an artist, and Lucas, a writer, found themselves in Vermont at a less-than-ideal time: the 2008 recession. 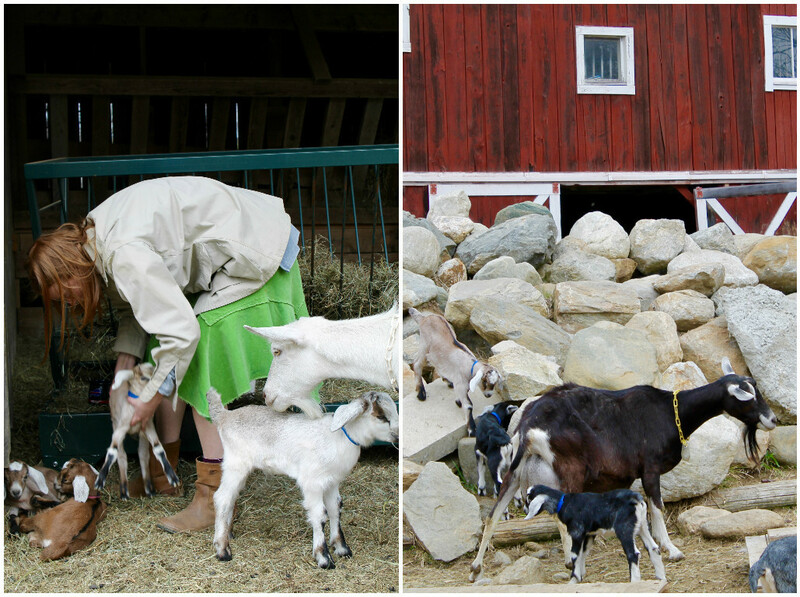 After having their fill of teaching gigs, they both took a leap of faith and tried something completely new – apprenticeships at Blue Ledge Farm, a local goat cheese producer. There began their affinity for goats. Louisa and Lucas later worked on Peaked Mountain Farm, a sheep’s milk farm that graciously allowed the couple to bring on a couple goats to care for as well. Louisa and Lucas found themselves in the right place at the right time as the owners of Peaked Mountain Farm prepared to retire. 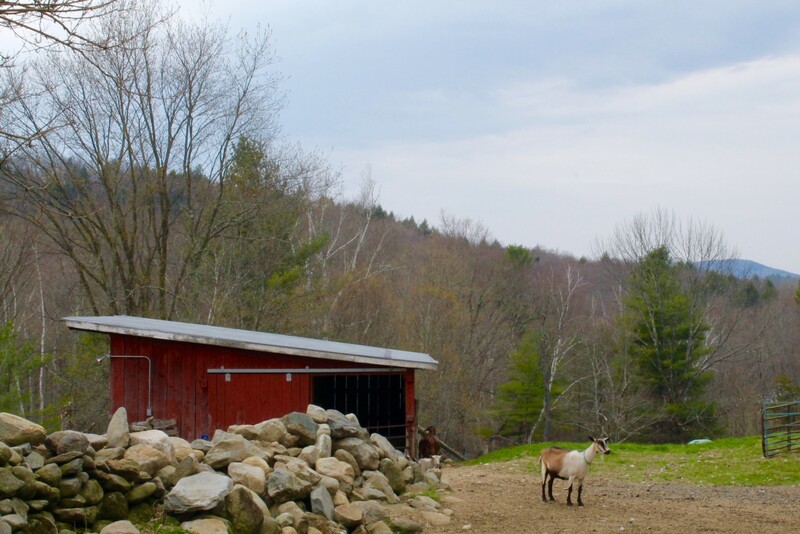 The couple took on half of the sheep farming property in Townshend VT and populated the land with their own tribe of goats. Louisa grins as she mentions Lucas’ grandfather, who made a living as a potato farmer. “They say farming skips a generation,” she notes. Louisa has no immediate farming heritage in her blood, but she believes the spark in her husband may have come from his grandfather’s agricultural lifestyle. It’s a pleasure to witness a couple who found a passion and ran with it, the success of which transpired from fervor and persistence. Not only have Louisa and Lucas discovered a love for farming, but they’ve incorporated their artistic strengths as well. The marketing and copy of their brand have both advantaged from the talents of Louisa’s sketches and Lucas’ writing. 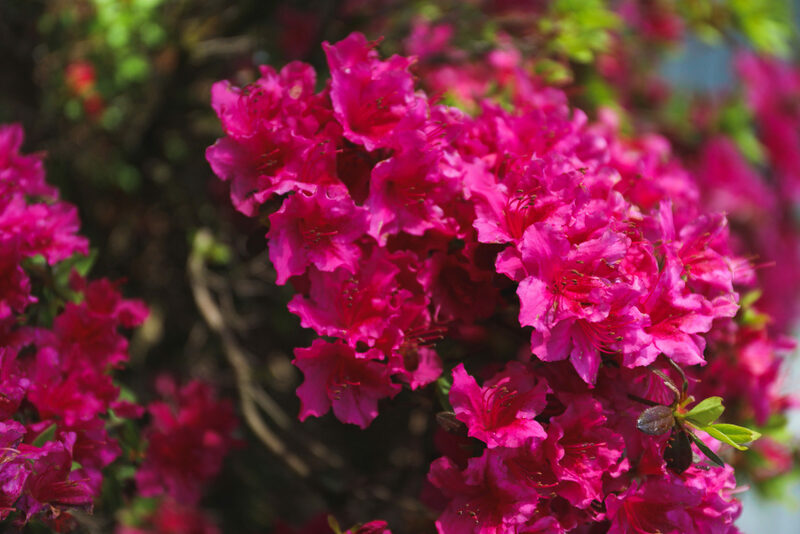 The couple’s artistic background is not lost on us as we wander around their property. 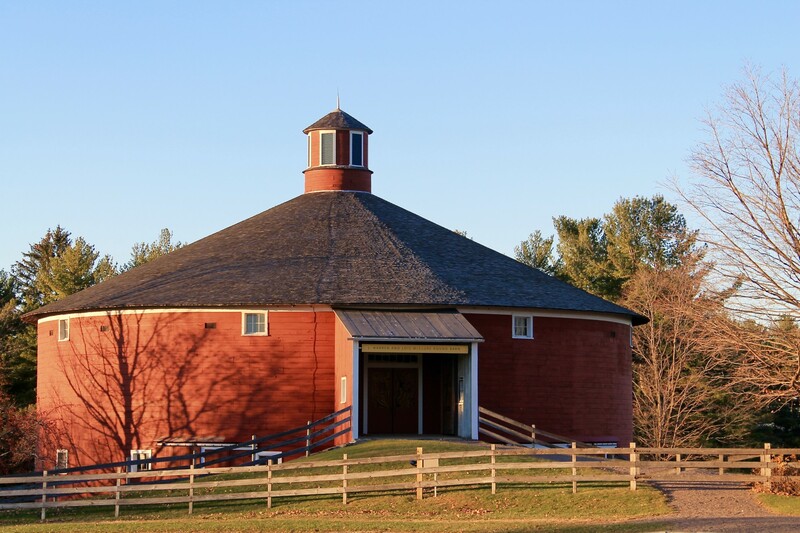 Louisa walks us through the barn toward their contemporary office overlooking the goat pastures. Clean white walls and low-hanging pendant lights catch our eye as we make our way to the 10-foot table Louisa has sitting in the middle of the space. “Sorry if it’s a bit untidy. We had friends over last night to celebrate one of our goats turning 10,” she explains. Clearly, these goats are loved like family members. 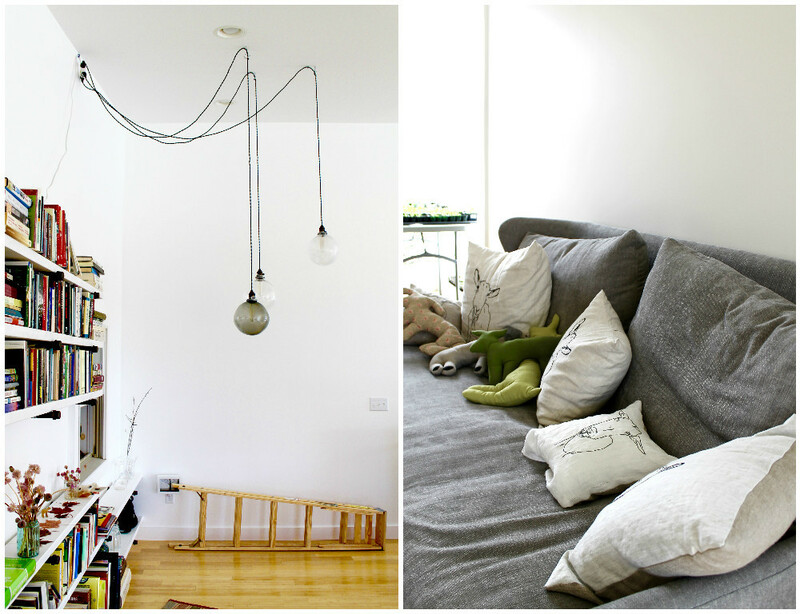 Pillows and tea towels donning sketches of the farm’s goats lie on the couch. This space is a true dedication to the people and animals that contribute to Big Picture Farm. Whether it be an impromptu employee yoga session, birthday celebration, or collaborative art show, this couple has constructed a space that charmingly portrays Louisa and Lucas’ multifaceted passions. We walk down to the pasture, where Louisa unhesitatingly plucks the newborns from their lazy slumber and kisses them on the cheek. Halfway through their kid season, Louisa and Lucas take a moment to appreciate both the old and new. 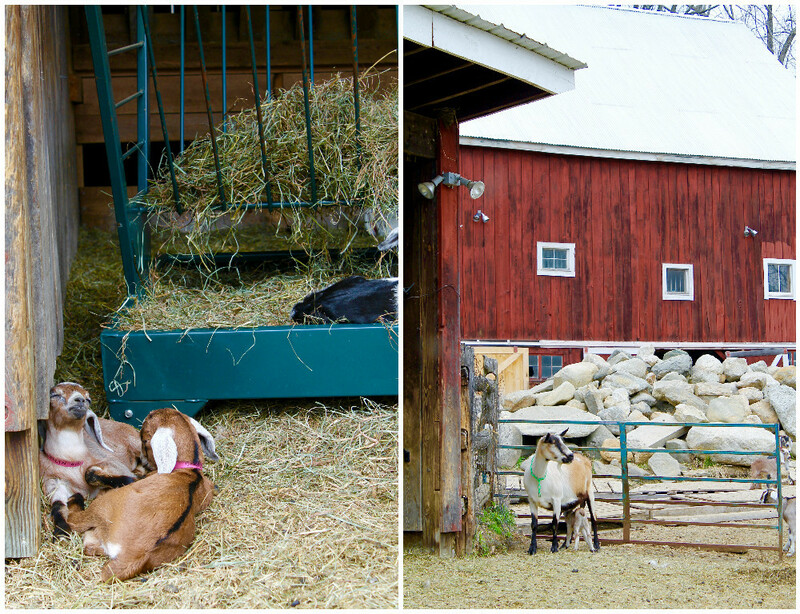 Big Picture Farm chooses to keep their adult goats, even after their prime. “They worked hard. They deserve to be happy,” Louisa notes. 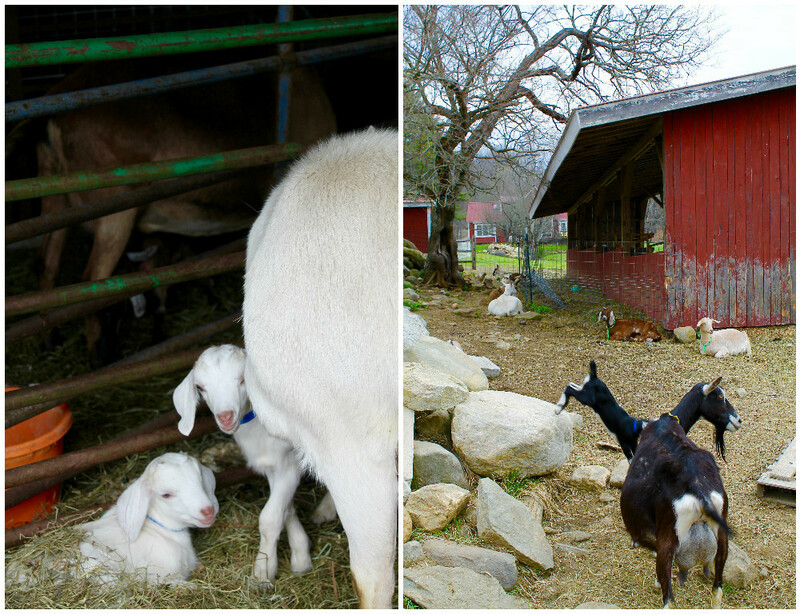 As such, there is an array of goats harmoniously romping around the pasture, all living the idyllic farm life. 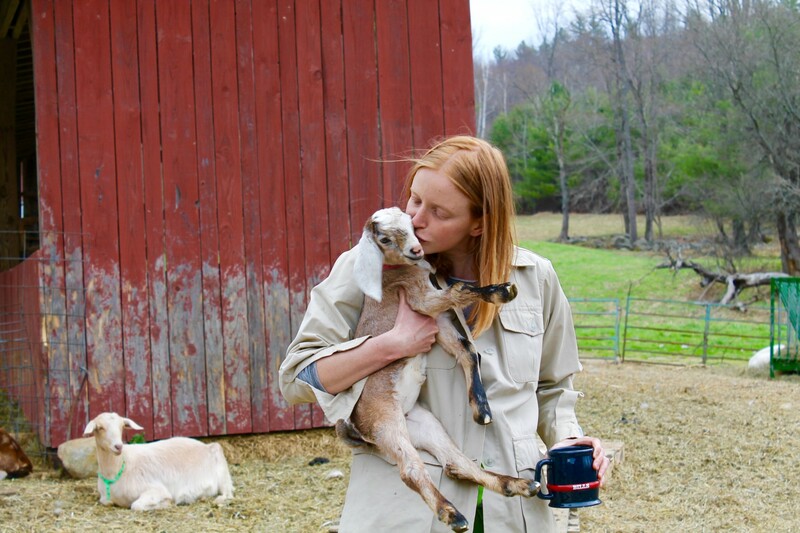 Connecting the sustainability dots, Louisa and Lucas will sell most of their new boys to Hudson Valley’s prominent Blue Hill Farm as “natural weed wackers.” These little ones will grow and continue to clear the land’s brush, naturally managing the farm’s organic resources. Goats also make great compost, as Louisa points out. Big Picture Farm lies on some very rocky land, and this compost allows her to plant in the raised garden beds she has next to the barn. Louisa and Lucas truly love the farm-to-table notion, essentially consuming all produce grown in their garden and eggs produced by their farm chickens. So why caramels? Louisa grew up on cheese while living in France for six years as a child, and the couple certainly gained their share of experience on cheese producing farms. However, Louisa and Lucas wanted to set themselves apart. While many of their friends navigate the cheese industry, Louisa and Lucas opted for something sweet instead of savory. Big Picture Farm only produces small batches of cheese every year, aged in their own cheese cellar on-site. The majority of production remains dedicated to caramels year-round. Just as it takes thousands of hours to become skill-proficient, it took many recipe tweaks and farmers markets to land on the successful recipe Big Picture Farm uses today. The couple spent at least six months modifying their recipe and testing consumer response, and this was no easy task. Whole milk is trickier to work with, as opposed to a less-delicate heavy cream. “You have to watch carefully as it takes longer to boil off the water in whole milk,” Louisa explains. Still, goat’s milk is well worth using in caramel, as its shorter fatty acid chains break down easily to make very smooth confections. Seasonal ingredients also play a role in the recipe process. The farm’s bees produce the honey for their cider-honey caramels, for instance. The couple also taps their own sap for their maple caramels. We can relate here at the Jackson House Inn. Having moved from New Jersey to Vermont in pursuit of a bed and breakfast, we were thrown into a situation completely new to us. Many hours of trial-and-error, along with learning and adjusting from mistakes, is undoubtedly difficult. Multiple renovations and recipe refinements later, we’ve become the inn that we are today and look forward to the improvements we can make in the future. We are thrilled to see a young couple doing the same as they succeed in the farming industry. Louisa and Lucas are always looking for ways to expand. Chocolate-covered caramels are already in the works. A petting farm for the older lady goats and the possible addition of hogs to the farm are a couple ideas on the table. Regardless, we look forward to seeing what Louisa and Lucas come up with next. 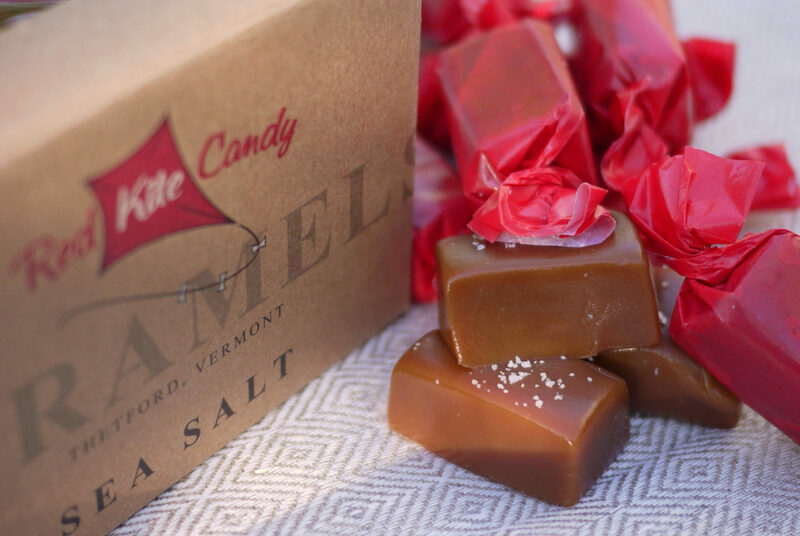 Their creamy, deliciously chewy caramels are perfect on their own, as noted by their top honors in the Fancy Food Show. Our personal favorites include their classic Sea Salt & Vanilla and Chai flavors. At the end of the day, Louisa and Lucas feel lucky to have encouragement from the American food trends. Environmentally conscious consumers are helping support the growth of small-scale agriculture. Sustainability, along with high-quality and low-impact products, are beginning to thrive as a result. 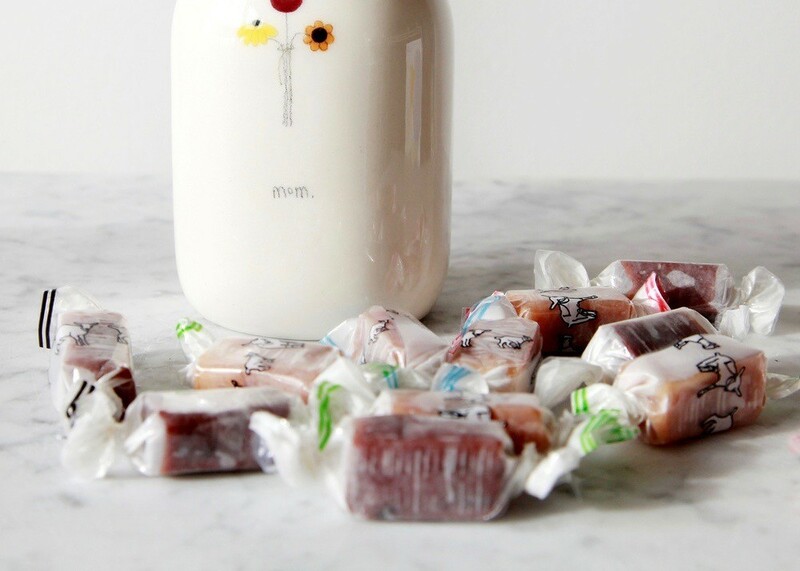 The message behind Big Picture Farm’s goat milk caramels is undoubtedly an honorable one. We absolutely love the story behind this young couple’s dedication to the sustainable farm life, which came about by pursuing something completely new. Not only have Louisa and Lucas succeeded in their efforts, but they’ve also found a way to incorporate their artistic talents in the work they do on the farm. It was a pleasure to see this marriage of agriculture and art at Big Picture Farm. Thank you Louisa and Lucas for sharing your story and adorable goats with us. We will think of them each time we open a Big Picture caramel, individually wrapped with images of the animals whose milk made these scrumptious treats possible. Other than promoted events, Big Picture Farm cannot accept unexpected visitors due to the nature of their operation. Scheduled “meet the goat” tours may be possible if you shoot Louisa and Lucas an email beforehand!